What is Scion’s Identity? Do They Even Have One? This week at the New York International Auto Show, Scion unveiled their all new iA sedan and iM hatchback that will be going on sale at the end of 2015. Scion, which is owned by Toyota, really has only one car that they can truly call they own, the tC, while the rest of their lineup is either rebadged Toyota’s that are sold in Europe and Asia, or they have cars that aren’t even built by their parent company. The FR-S was a collaboration by Toyota and Subaru, and can be bought as a Subaru, the BRZ. What is Scion? Were they originally Toyota’s cheap brand that sold to younger consumers, or are they now a combination of cheaper vehicles and a lab rat for other car companies to see what they could come with without putting their badge on the car? The iA is essentially the new Mazda 2 sedan, and was also a collaboration with Toyota by Mazda. The iM is a rebadged Toyota Auris and will be what takes the place of the Toyota Matrix, and will give Scion the opportunity to try increasing sales in the hatchback market. Both cars will be starting anywhere between $16,000 – $20,000 when they hit the market, and with a very lackluster group of vehicles that are currently within that price range, the iA and iM could see some strong sales. The biggest issue facing Scion is that their sales figures aren’t as strong as they were back in 2005. 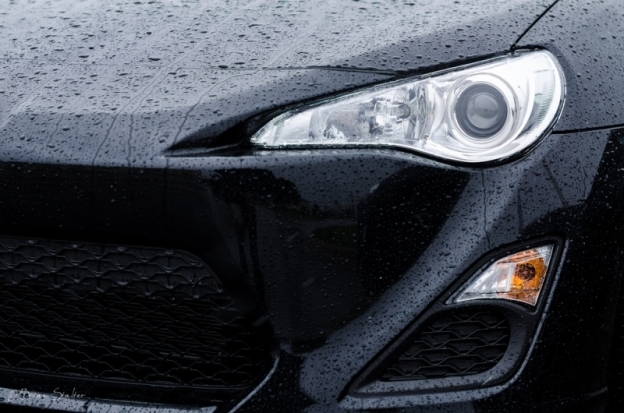 Scion was the new kid on the block offering cheaper cars for younger drivers, but today, the tC and FR-S are the only Scions that younger consumers want to get behind the wheel of, and when it comes to the FR-S, they can choose to visit a Subaru dealer instead. Out of the two, the iM has a better chance of succeeding than the iA. While great fuel economy and cheaper starting price for the iA might go a long way in helping consumers decide whether to buy the car or not, the iM being a hatchback, might be more appealing to younger consumers. Toyota has a lineup consisting of cars that compete with Honda, Ford, and Chevrolet, while their luxury division, Lexus, is taking on BMW, Mercedes Benz, Audi, and Infiniti. It would be great if Scion became both cheap for younger consumers, while being the performance division for Toyota. The tC and FR-S are good starts, but if Toyota could offer a Celica (which in essence is the tC) MR-2 or some original sports car badged as a Scion, the perception of the brand would change completely overnight. Right now it seems like Scion is everyone’s ginny pig, and that’s what is confusing consumers. The Toyota owned company is now 13 years old, it’s time to start maturing and offering original cars that aren’t rebadged by other Japanese brands or Toyota itself. Author Mike CerraPosted on April 2, 2015 Categories Automotive World, ScionTags Mazda, Scion, Scion FR-S, Scion iA, Scion iM, Scion tC, Scion xB, Subaru, Subaru BRZ, ToyotaLeave a comment on What is Scion’s Identity? Do They Even Have One?